Parking will be free in all of Tamworth Borough Council’s car parks on the two Saturdays leading up to Christmas – December 15 and December 22. Ankerside Shopping Centre is also offering free parking in its car park on those two Saturdays. Please note the offer does not apply to the NCP car park on the site of the former Gungate Precinct. The car parking fees are being waived on these days in a bid to boost town centre trade by encouraging more people to come into Tamworth to shop. An extra market day will also take place in the run-up to Christmas on December 24 – Christmas Eve, giving shoppers a last-minute chance to get any Christmas gifts and treats. Tuesday, December 18, Friday, December 21 and Saturday, December 22, will be normal market days. Please note there will be no market on Christmas Day or New Year’s Day. Tamworth Borough Council Deputy Leader, Cllr Rob Pritchard, said: “We are keen to support the town centre, especially at important times like Christmas. We made the decision to waive parking charges on these two very busy shopping days because we want to support traders and boost town centre trade. 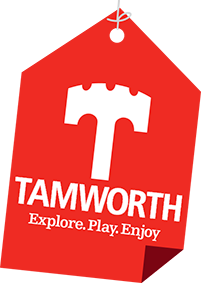 “It gives us a real opportunity to attract new visitors to Tamworth and to demonstrate what the town has to offer. This is another example of the Council supporting our important town centre businesses. “Please tell your family and friends so we can make this the busiest Christmas for the town centre ever. Please come out and support YOUR town centre." Mark Burbridge, centre manager at Ankerside Shopping Centre, said: “We’re delighted to be able to offer free parking during the festive shopping period. Customers can park at Ankerside free of charge all day on December 15 and 22, plus every Sunday as usual to pick up any last-minute gifts. We hope everyone has a great time at Ankerside as they get ready for Christmas Day.